Attracted by low labor costs and other advantages, global electronics manufacturers invested billions in Vietnam over the past few years. As they continue to build new factories in 2014, Vietnam's economy will benefit from the influx of foreign capital, talent, and technology. Many manufacturers came to Vietnam, in fact, because of challenging macroeconomic conditions in China. There, an aging workforce, rising wages, and other trends make low-cost production increasingly untenable in many industries. China will remain the world's leading production zone for years to come, but its competitive advantage in low-end manufacturing and assembly work is waning. This trend benefits several Southeast Asian countries, including Vietnam, Indonesia, Thailand, and the Philippines. They all have large pools of low-cost labor that are ready and willing to pick up China's slack. Global electronics manufacturers moved into all these markets over the past few years, but expanded most aggressively in Vietnam, where electronics exports grew at some of the fastest rates in the world. Samsung has made the biggest commitment of the many major multinationals manufacturing electronic devices and components. It has invested billions of dollars in a cluster of factories that will produce a large percentage of the company's smartphone handsets in coming years. Intel and LG each also plunked down over $1 billion each, while dozens of other companies have made nine- and eight-figure investments. Why Vietnam? Geography plays an important role. Unlike Indonesia or the Philippines, which are both archipelago nations on the outer boundaries of Southeast Asia, Vietnam's proximity to China makes it easier to integrate into existing supply chains. Vietnam also faces fewer natural disasters than other countries in the region, which are generally more prone to floods, earthquakes, and typhoons. Growing domestic demand also entices manufacturers. "Many electronics manufacturers seek more than low-cost labor when they choose a location for production," said Glenn Maguire, chief economist for the Asia-Pacific region at ANZ Bank. "They also look for countries that can emerge as large domestic markets. Vietnam seems to have all the right ingredients for that to happen." Maguire believes that Vietnam offers other advantages as well, including a good electrical supply and improving transport infrastructure. The country also appears stable politically. The recent spate of anti-China riots generated dramatic headlines and caused concerns among many investors, but their actual impact was limited and the situation cooled down quickly. Cheap workers, however, remain the primary attraction for many electronics manufacturers. Those in Vietnam command some of the lowest wages in the region. Only people in Cambodia, Laos, and Myanmar earn less, but those countries lack many of Vietnam's other advantages. Booming electronics production will help lift Vietnam's economy, but questions remain about how evenly benefits will be spread. Right now, most factories focus on relatively low-value production and assembly work. Although setting up and running those factories requires skilled managers, technicians, and engineers, most workers will be stuck on an assembly line screwing things together for the foreseeable future. Long-term growth depends on whether Vietnam can ultimately move up the productivity value chain and create more skilled jobs. The influx of foreign electronics manufacturers gives the country a unique opportunity to absorb foreign technology and expertise. It also provides capital to fund much-needed improvements in infrastructure and education. Some companies appear keen to help develop local tech talent. When Intel first tried to hire local staff for the $1 billion testing and assembly plant it built in 2010, it had difficulty finding qualified engineers. To build its talent pipeline, the company created a special study-abroad program to train engineers for its facility, spending $7 million to send 73 students to Portland State University in Oregon. 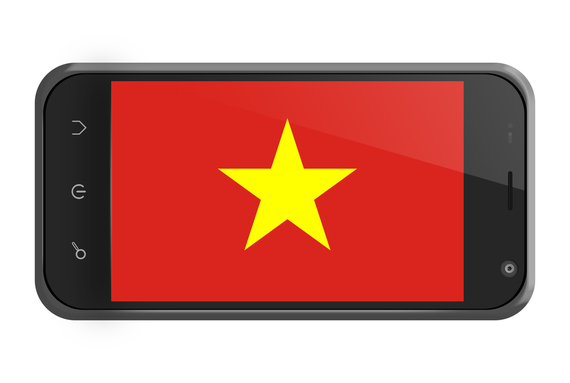 If Vietnam can continue to develop its tech talent at home, a new generation of skilled workers will allow the country to export progressively higher-value products. It will also expand the base of high-income professionals, fueling greater demand at home for those same goods. If that doesn't happen, however, the country will probably attract new investments only until cheaper locations emerge somewhere else. Will Greene is Director of Research at BDG Asia, an advisory firm that helps international companies do business in Southeast Asia. He is currently based in Ho Chi Minh City, Vietnam. Background research contributed by Huyen Nghiem, Analyst at BDG Asia.